WASHINGTON — The upstart nation was a den of intellectual piracy. One of its top officials urged his countrymen to steal and copy foreign machinery. Across the ocean, a leading industrial power tried in vain to guard its trade secrets from the brash young rival. In the late 18th and early 19th centuries, the rogue nation was the United States. The official endorsing thievery was Treasury Secretary Alexander Hamilton. And the main victim was Britain. Now, the United States accuses China of the very sort of illicit practices that helped America leapfrog European rivals two centuries ago and emerge as an industrial giant. Having imposed tariffs on $250 billion in Chinese goods, the Trump administration is trying to force Beijing to abandon what it calls its brass-knuckles drive to exploit American technology to speed its own economic modernization. The administration alleges — and many China watchers agree — that Beijing steals trade secrets and coerces U.S. companies to hand them over as the price of admission to the vast Chinese market. More than two centuries ago, the young United States, an agrarian backwater lacking in skilled workers, held a different view of other nations’ trade secrets: They were, it seemed, up for grabs. In 2012, having surveyed the sordid history of U.S. industrial espionage, the journal Foreign Policy called America “the China of the 19th century. For the 18th century United States to build its economic might, highly skilled or knowledgeable people were just as tempting a target as hardware. In the days before instruction manuals, manufacturers needed workers who knew how to assemble and operate machines acquired from overseas. Wary of the intrusion, Britain officials threatened headhunters with a year in prison for every British worker they recruited to work overseas. Yet they couldn’t stop the brain drain, which the U.S. government actively encouraged. 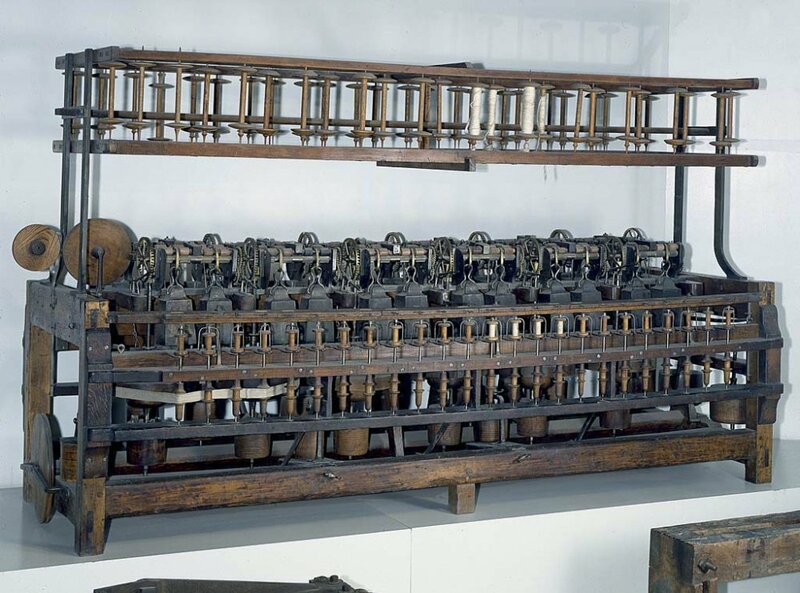 In 1791, Hamilton authorized the Treasury to pay $48 to subsidize the living expenses of an English weaver who pledged to deliver to the U.S. a copycat version of a British spinning machine. Perhaps the most impressive heist was orchestrated in the early 1800s by Francis Cabot Lowell, the Massachusetts industrialist. During a tour of England and Scotland, Lowell had visited British textile factories and managed to memorize their design and inner workings. On the voyage back to America, Lowell’s ship was stopped and searched by British officials who had been tipped off that he might have stolen industrial designs. They found nothing; the secrets were all in Lowell’s head. He would go on to establish a textile-producing empire in Massachusetts. Intellectual pirates were celebrated in the young United States, just as they are now in China. A man who smuggled a cotton-processing machine from London was hailed by one Pennsylvania trade group as “the ingenious artizan who counterfeited the Carding and Spinning Machine” and was promised awards and prizes, according to Andreas’ book. His copycat equipment was displayed on a float in Philadelphia’s July 4 parade of 1788. Likewise, today’s Chinese industrial spies sometimes earn public recognition. The Justice Department asserts that a former Coca-Cola engineer who is accused of stealing trade secrets worth $100 million was partly scheming to win the Chinese “Thousand Talent” award, as well as an award from Shandong Province for people who transport valuable technology to China. Douglas Irwin, a Dartmouth College economist who wrote a 2017 history of U.S. trade policy “Clashing Over Commerce,” cautioned that the early American efforts to gain a technological edge were nowhere near as comprehensive as China’s efforts are today. In an audacious blueprint called Made in China 2025, Beijing has designed a plan to create world-beating Chinese companies in such advanced fields as robotics and electric cars. In pursuing this goal, the U.S. charges, China has unfairly subsidized its own companies and hobbled foreign competitors. By contrast, Congress wouldn’t approve Hamilton’s most ambitious plans for a U.S. industrial policy, Ben-Atar has noted. But the United States back then didn’t really need much help from the government, he said. It enjoyed — and enjoys — an advantage that today’s China doesn’t: Foreigners want to live in America. And those who do bring their knowledge and talent. China, ruled by an authoritarian Communist regime, isn’t very inviting to foreigners who might otherwise put down roots. Even so, Ben-Atar doubts that the U.S. can effectively keep its technology from slipping away. “The history of trying to restrict the movement of technology is the history of failure,” he said. In the 13th century, he noted, the Italian city-state of Venice sought to protect its glass-making industry by isolating its artisans on the island of Murano. Venice’s secrets got out anyway.